Access: 3 hours outside Kathmandu to within 12km of the Tibet Border. The Gorge: It takes place on a 166m wide steel suspension bridge over the Bhote Koshi River. The Bridge: Swiss designed, specially for bungy jumping with a 4x safety factor. The bridge has a loading factor of 41,500kg or 4.5 tonns. And those are Swiss measurements! The bungy bridge is the longest in Nepal and also the only privately owned bridge. Before its construction, locals walked 5 hrs to cross this river gorge. 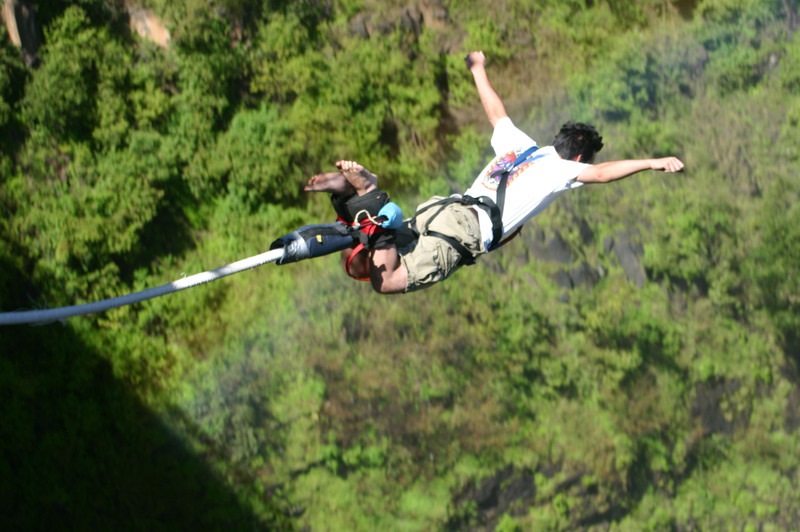 The Jump: This bungy jump in Nepal may be the most spectacular bungy jump on the Planet. This remarkable 500ft (160m) drop into the Bhote Koshi River gorge on the Nepal/Tibet Border is the longest free fall in the world. Bungy jumping, which has been restricted in some parts of Europe, can be experienced in this Himalayan Kingdom. One can reach the bungy jumping site, which lies near Nepal-Tibet border some 160 miles northeast of Kathmandu, within three hours of smooth drive from Kathmandu. Designed by a leading bungy consultant of New Zealand, and operated by highly experienced jumpmasters, the 160-meter high bungy jump is over the Bhotekoshi River. Visitors can stay at The Last Resort overnight and experience more than 80 challenging rapids on the wild river on the second day.